If you’re looking for a premium sports sedan that won’t break your budget in Anaheim, then the new Kia Stinger MSRP is sure to catch your eye. Starting at just $32,900, the new Kia Stinger specs are downright inspired, moving from 0 to 60 mph in just 4.7 seconds with the Kia Stinger GT’s turbocharged 365-hp 3.3L V6. Inside the cabin, you’ll also find access to a variety of premium features, including an 8-inch Uvo touchscreen and a 15-speaker Harman Kardon audio system. Find it all today at Kia of Cerritos, or contact us with questions at (562) 860-2424. Find a full lineup of new Kia Stinger sport sedans for sale right now near Orange County at our dealership in Cerritos, where you can pre-qualify for financing right now. 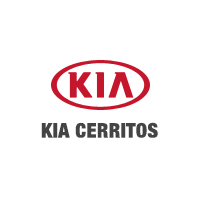 Before you come in for a test drive at Kia of Cerritos, make sure to check out our current new vehicle specials, too, including affordable leases, low APR rates, and low down payments. Our doors are open seven days a week, so come by and see us today!